In his final book, Kurt Vonnegut wrote, “We are here on earth to fart around. Don’t let anybody tell you any different.” Vonnegut was referring to paying attention to the little things, the everyday occurrences that make life a delight. 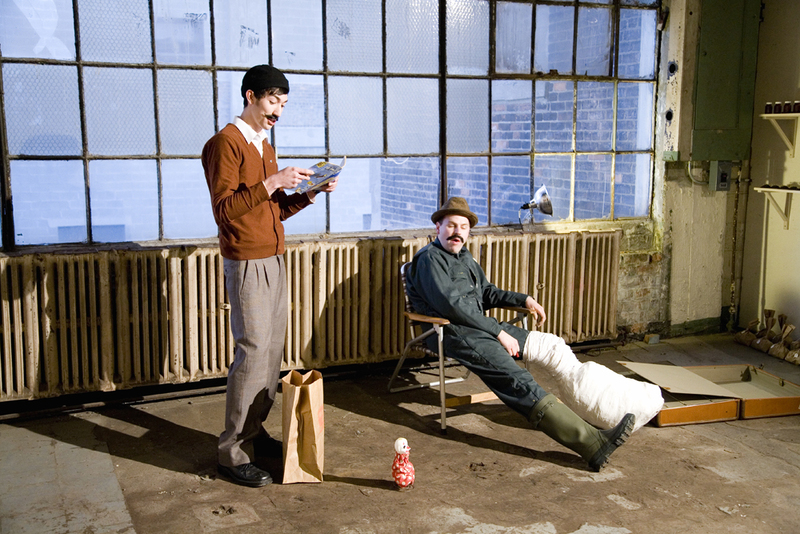 It’s this attention to minutia and, umm, flatulence among other things that make up the subject matter of Ryan Standfest’s solo exhibition at Detroit Industrial Projects. The lasting appeal of fart jokes and plastic poop hinges on the fact that they are common to all of our experience, whether mentioned or not. To reference another literary classic, the Japanese children’s book, “Everybody Poops,” we all do it. We all have to deal with our insides, with discomfort, with sickness, with injury, with the very real existence of being an organic creature whose body is not a divine vessel but a soup of chemicals – that suffers pain of physical and mental nature. Standfest revels in the exploration of what is often only talked about in the lowbrow, but he does so from an intellectual, highly considered viewpoint. 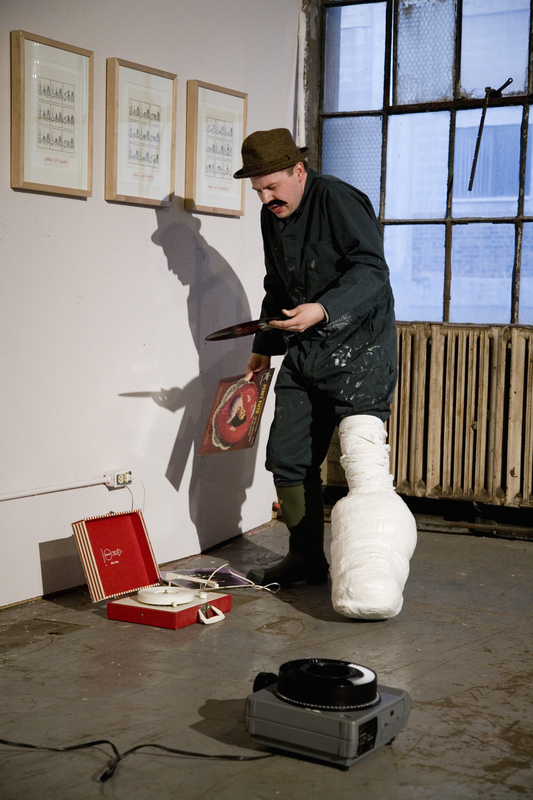 Through drawings, prints, objects, video, and performance, he brings a richly imagined world to life. This means always paying a great attention to detail both to the individual pieces and how all the mediums fit together. 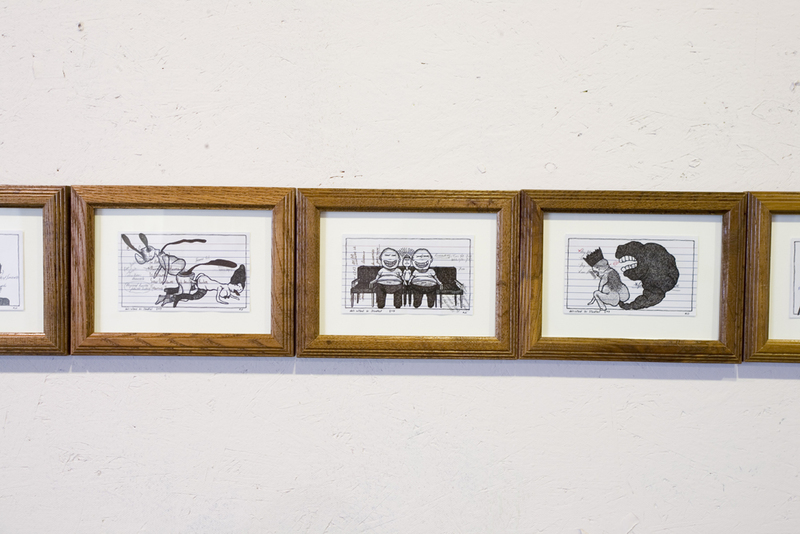 Tightly drawn cartoons on index cards with notes scribbled on them to appear as if throwaway quick ideas, are framed elevating their status to art object, and thus asking to be looked at more closely. In them, the chronicles of an almost Homer Simpson like persona is depicted, pushed, squeezed, a little guy (figuratively, kind of portly literally) always getting the shaft and with his share of internal woes to contend with – at times these are laugh out loud funny. Standfest’s training in the printmaking arts is evident everywhere – even going so far as to “dress up” the TVs showing the videos with drawings of an appropriately surreal stage and curtain. 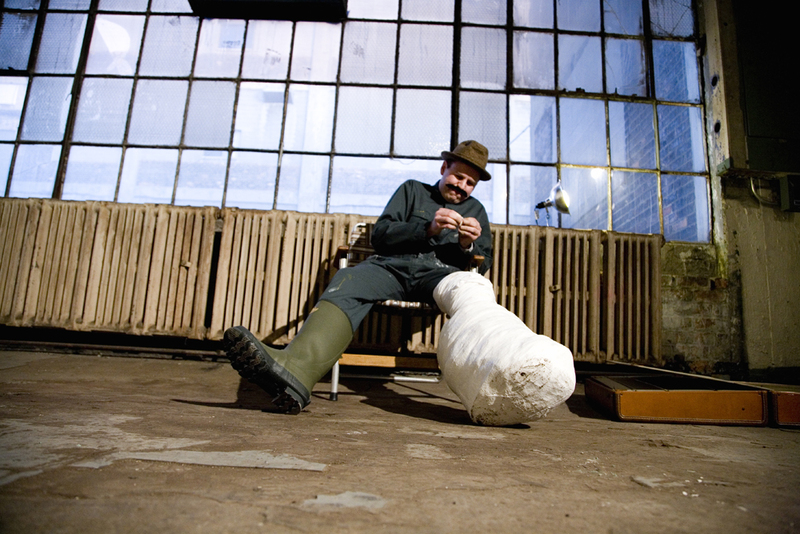 He’s created a cast of related characters, all grossly misshapen, odd little creatures. They are funny and sad at the same time. A series of prints portrays an organic internal seeming form, with a silhouette of an object removed from it, and illustrated elsewhere in the composition. There’s so many levels of imagery and thought going on within the single compositions and the show as a whole, that it makes for something to truly be studied at great length to begin to enter Standfest’s thought process. It all makes for a whole experience – the different bodies of work all feed and inform one another. 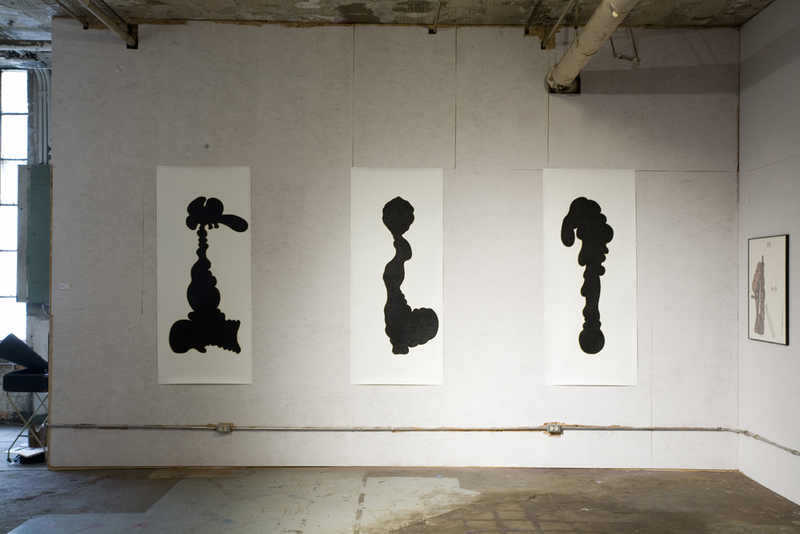 Even a group of solid, almost Rorschach prints – could be the silhouettes of his figures, intestinal tracks, or something excreted from them – yet beautiful at the same time.